Here's what the book is about according to the official announcement! "Set in the fictional beach town of Colby, where several of Dessen’s novels take place, it features 18-year-old Emmeline, who is spending her last summer before college working for her family’s vacation rental business and enjoying a summer romance with a young aspiring filmmaker." Sarah Dessen is one of those authors I trust completely, so I'm excited about this book! What do you think? Bria has spent senior year looking forward to traveling with her boyfriend before they head off to art school...until he breaks up with her. Bria is determined to travel, so she signs up for the Global Vagabond tour throughout Central America. But she is massively disappointed to find herself stuck in a touristy group that doesn't have any interest in experiencing real culture. Plan B? Taking a leap of faith by ditching the tour group, trading her suitcase for a backpack, and joining veteran backpackers Starling and Rowan for a trip that will change her life. Kirsten Hubbard's second novel is a luminous story that will make you want to stuff the essentials in a bag and head out into the world. Bria is such an engaging and complex narrator. She doesn't have a lot of self confidence at the beginning of the novel, and she's deeply hurt by the abusive relationship with her ex. But she has more backbone than you'd expect—she stands up to Rowan when they first meet, and she takes back control of her life when she decides to take off with Rowan and Starling. But that doesn't mean she's over all of her problems. When Bria and Rowan are forced to travel alone, figuring out through trial and error how to get along, they slowly become friends and open up to each other. The chemistry between them is fantastic and believable, and the only things that top it are Hubbard's vivid descriptions of Central America's wildlife and culture. She captures the wonder, apprehension, and exhilaration of travel so well. The expected drama and impact of other secrets Bria and Rowan keep from each other have their negative and positive consequences, resulting in Bria reclaiming her confidence and independence and a lovely finishing scene. 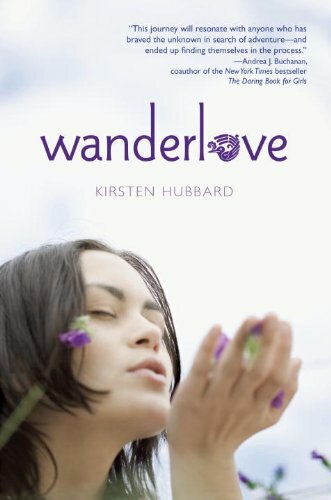 Wanderlove is the rare sort of book that will charm you completely—do not miss it. Cover Comments: I love the design of this book. 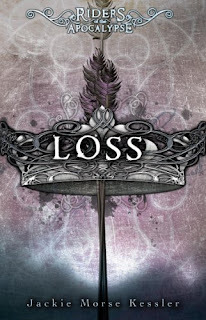 While the cover doesn't blow me away, I do like the composition and the purple. The best part is that there are pencil drawings done by Hubbard throughout the book--so cool! If you're a regular reader here, you might have noticed that I've not been posting as much lately, and I apologize. I can't promise that I'll get better about it for another month still, until classes finish up the first week of May. But...as for what I'm reading now: Othello. And no, I'll not give you a review. Instead, something better: The Reduced Shakespeare Company. This is (relatively) old news, but I met Suzanne Collins about three years ago at the Borders Book Club Discussion filming. Since the movie is now out and everyone seems to have The Hunger Games on the mind, here is the link to that video again! Warning: we discuss Catching Fire, so there might spoilers! Click here to view the video! I hope you enjoy it! 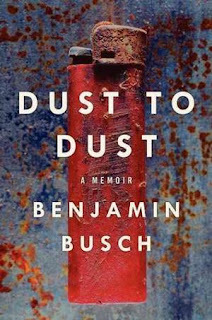 "Dust to Dust is an extraordinary memoir about ordinary things: life and death, peace and war, the adventures of childhood and the revelations of adulthood. 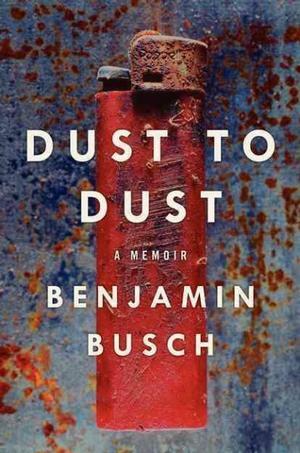 Benjamin Busch—a decorated U.S. Marine Corps infantry officer who served two combat tours in Iraq, an actor on The Wire, and the son of celebrated novelist Frederick Busch—has crafted a lasting book to stand with the finest work of Tim O'Brien or Annie Dillard. In elemental-themed chapters—water, metal, bone, blood—Busch weaves together a vivid record of a pastoral childhood in rural New York; Marine training in North Carolina, Ukraine, and California; and deployment during the worst of the war in Iraq, as seen firsthand. But this is much more than a war memoir. Busch writes with great poignancy about the resonance of a boyhood spent exploring rivers and woods, building forts, and testing the limits of safety. Most of all, he brings enormous emotional power to his reflections on mortality: in a helicopter going down; wounded by shrapnel in Ramadi; dealing with the sudden death of friends in combat and of parents back home. Dust to Dust is an unforgettable meditation on life and loss, and how the curious children we were remain alive in us all." Obligatory plug: If you want a signed copy, Great Lakes Book and Supply (1-231-796-1112) can totally hook you up. When Abby wakes after being pulled from a burning building, she discovers that she doesn't remember anything about herself. It's Sam who saves he, who helps remind her who she is. They live in a cozy little cave away from the world and all they need is each other. But when Sam's secrets threaten Abby's happiness, she begins to ask questions. The more curious she gets, the more she slowly begins to remember details about her life before the fire. 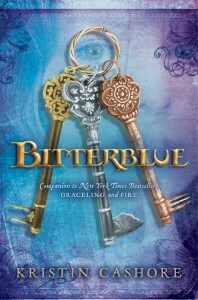 Reality and fantasy have blended together in Abby's mind, and she is forced to decide what in her life is real. Circle Nine is a dark tale that will capture your attention from the very beginning. Abby's life is a mystery, and she clings to the things Sam tells her. Her journey is both mental and emotional as she struggles to unbury the truth in her memories and disassociate her feelings for Sam with those of safety and comfort. Sam isn't ever a character that readers can trust, but he does have his moments where he is almost likable. Abby's feelings for him also complicate his role in the story, making for some dramatic scenes. Abby's search for answers is gradual and interspersed with memories of her family, which make her eventual discovery of the truth of what happened the night of the fire tragic and emotional. Though the reader will be able to deduce what Abby struggles to learn a bit quicker than the protagonist, Heltzel's writing is measured and intense, and she has a few little twists at the very end that will keep readers hooked. Circle Nine is a heart-rending and perfectly paced novel with darker tones that provides an interesting view on some very important social issues. While the ending isn't neat and perfect, it feels right and the conclusion will haunt you. Cover Comments: I just love this cover so much! The way the brightness of the forest stands out against the black background is very striking, and it makes you want to lean in for a closer look. This one is now available! The e-book is on sale for $2.99! This might not be of interest to a lot of you, but I know I have some Spanish-speaking readers out there who will appreciate this! The Star is a Spanish novel by Javi Araguz and Isabel Hierro. Currently, it's only available in Spanish and in Portuguese, but hopefully it will be translated into English! You can visit bookthestar.com to read about it and read the first chapter (in English). 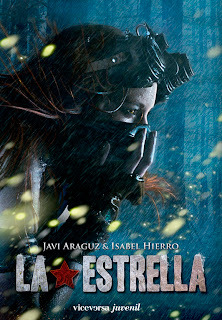 What really attracted me to The Star was the awesome cover and this cool trailer (this is the English version). Check it out! If you don't speak Spanish but think this sound good, spread the word! If you do speak Spanish, check out the website to see how you can get a copy. It won some prestigious awards in Spain, and it's been pretty popular! A little over a year ago I reviewed Timeless by Alexandra Monir. You can read my review here, but suffice to say that it was a wonderful book I enjoyed immensely, and I am eager for the sequel, Timekeeper, to arrive sometime this fall! 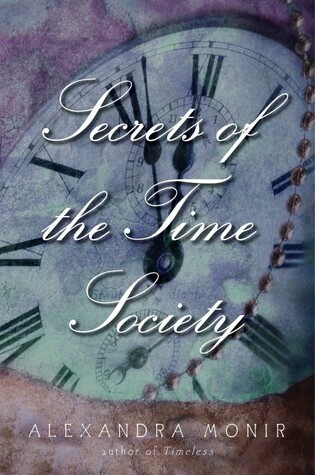 I received some really good news yesterday: Alexandra has written a short "bridge" story between Timeless and Timekeeper called "Secrets of the Time Society" and it's released today! Hooray! You can download it for only $1.99, and hopefully it'll keep you satisfied until Timekeeper's release! P.S. 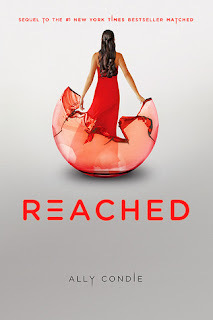 One really awesome thing is that Alexandra, who is also a singer and a songwriter, produced the two songs that her main character "writes" in the book, "Bring the Color Back" and "Chasing Time"! You can find them in iTunes, and I definitely recommend looking them up and downloading them! They're gorgeous! 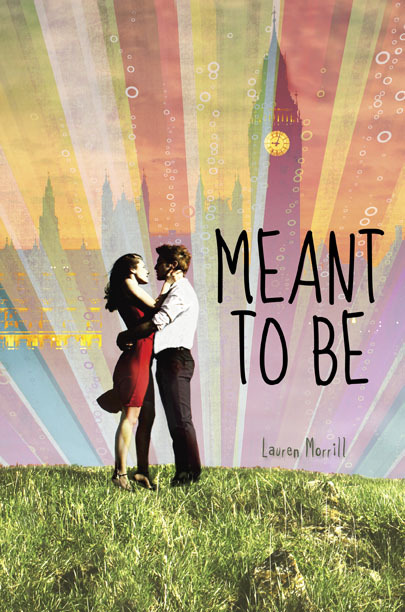 "Meant to be or not meant to be . . . that is the question. Because sometimes the things you least expect are the most meant to be." I love, love this cover--the colors, the London skyline, the couple's stance! It's just all so fabulous! I cannot wait to read this book! 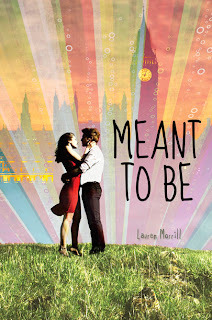 Meant to Be will be released on November 13th, 2012! Nick is used to taking care of himself; his mother has been dead for years, and his father is a scientist who is constantly absorbed in his work. Now it's the beginning of summer vacation, and Nick just wants to hang with his friends and try to get a date with his crush, Lara...but his dad is suddenly acting weird and over-protective. Then a dense, dark cloud appears in the horizon one night. It rapidly covers the sky, blocking out the sun, and it doesn’t go away. It's completely gloomy 24/7, and Nick finds himself suddenly alone in this dark new world. Piecing together clues left by his father, Nick struggles to make sense of what's going and survive the best he can with his friends. Jack Blaine's latest book is a riveting and thrilling read. Nick is a great believable narrator—he's smart, witty, and he thinks on his feet. He has to undergo a lot of change and a lot of heartbreak in a short amount of time, but he never gives up. Through unexplained violence, theft, and the revelation of shocking secrets about his father, Nick keeps moving forward, trying to figure out what his next move should be when no one has any answers. He eventually finds his way to Lara, and the two of them team up to try to figure out how to get to safety and determine what the objects left behind by Nick's father mean. If there is even a way to ever reverse the darkness, they’ve got the best chance to figure it out. The tension and sharp action will keep even the most reluctant reader hooked as Nick finds that when faced with death, people can be cruel and calculating. With themes of fear, humanity, compassion, and courage, The Nightworld is a quick, edge-of-your-seat read that is reminiscent of Life As We Knew It by Susan Beth Pfeffer, and an open ending that leaves room for more. Cover Comments: I like the darkness of the cover, and the slanting perspective on the figure walking away. It's a neat cover, very simplistic and affecting. Seems kinda neat...but it also seems like something you'd need an iPad, Kindle Fire, or Nook tablet in order to fully enjoy on the go (i.e. without a computer). How many of you guys own a tablet device? I don't mean to knock anything or sound like I'm stuck in my ways, but I just love books because they're books. These enhanced e-books are fun as far as Cathy's Book was fun (I really enjoyed it, it was like a great big puzzle), but ultimately, it made me a little weary of keeping track of everything going on. I think nothing beats a good book. Anyway, we shall see what this one looks like! I am eager to see how it'll pan out despite my reservations! I am sharing my favorite writing tips in partnership with Grammarly grammar checker. Grammarly believes in the power of the written word and that everyone has the potential to be a superb writer. One question I receive a lot is "How do you write so many reviews?" Answer: lots of practice. I've written over 600 reviews in the past 5 years ( in addition to discussion posts, Cover Talk, interviews, Shelf Discovery, etc), and while writing a review isn't always easy, it's a great way to build writing skills. No matter what sort of writing you're interested in--creative, academic, or writing for a blog--practice is key. The more you write, the more you'll improve. 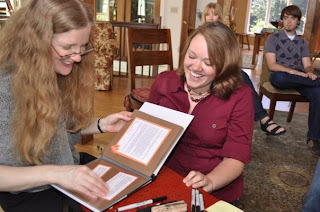 Write every day! This is probably the hardest thing to tackle, but it’s important. You have to be consistent with your practice. Every day I write either a blog post, a paper, a review, or work on my creative writing projects. Take notes! Always having a piece of paper and a pen to write down thoughts is essential. I keep blank 3x5 notecards as bookmarks in every book I read so I can write down thoughts for reviews or papers. They're also helpful for little ideas or inspired lines you may have for your creative writing. Outline! Even if it's just the vaguest idea of where you want to go, it's important to write it down so you know where you're going. Then keep it fluid so you can always change it as you go! Give yourself a break! It's always good to take some time in between first drafts and revisions. I try to let at least a day go by between finishing a draft of a paper or review before I jump in on revisions. It allows me to have a fresh perspective on what I've written. Check the books! I'll admit it, I have trouble remembering the difference between "lay" and "lie." When you're not sure about your grammar, having a good writing reference book can really help out. I have the Hacker book--it's great for writing academic papers, it's well-organized, and it has a lot of practical writing advice that will solve all of your little grammar questions. Have some fun! I love reading various writing blogs, like Reasoning With Vampires. It goes through the Twilight series page by page to point out faults in writing and plotting--it's actually all quite interesting and educational. It reinforces all of the grammar and punctuation concepts that you were taught in elementary school, but probably didn't pay attention to. And, if you’re interested in creative writing, it points out some plot pitfalls (like cheating at narration) that you probably weren’t aware even existed. I know that these days our education system doesn’t put enough emphasis on the art of writing. It doesn’t matter what field you’re interested in going into or what you want to do with your life—writing is important on all levels. It’s never too late to work on improving your skills. Do you have any writing advice? Share it in the comments! "World War I robbed England and France of an entire generation of friends, lovers and futures. In Freddie Watson's case, the battlefields took his beloved brother and, at times, his peace of mind. In the winter of 1928, still seeking some kind of resolution, Freddie is travelling through the beautiful but forbidding French Pyrenees. During a snowstorm, his car spins off the mountain road. Freezing and dazed, he stumbles through the woods, emerging in a tiny village, where he finds an inn to wait out the blizzard. There he meets Fabrissa, a lovely young woman also mourning a lost generation. Over the course of one night, Fabrissa and Freddie share their stories. By the time dawn breaks, Freddie will have unearthed a tragic mystery that goes back through the centuries, and discovered his own role in the life of this old remote town. By turns thrilling, poignant, and haunting, this is a story of two lives touched by war and transformed by courage." 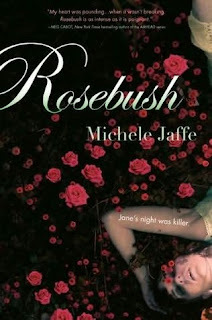 I am a huge fan of historical fiction, and this one sounds very interesting...what do you think? Cricket's life is changing rapidly, and there's nothing she can do to stop it. She's just graduated from high school and moved out of her childhood home, and now her mother is getting remarried. Cricket's mother has been close to marriage a few times before, only to back out at the last minute. Cricket doesn't want her mom to get cold feet this time—Dan Jax is perfect, even if his own kids aren't so enthusiastic about the relationship. As Cricket handles these major life changes, all occurring within a week of each other, she is also dealing with her own recent, not-quite-complete break-up and the trying to prepare herself for the prospect of life never being the same again. Deb Caletti’s latest book is everything readers have come to expect from her. She takes readers back to Bishop Rock, the setting of Stay, for The Story of Us. The charming and idyllic seaside setting is lovely, and it is an interesting parallel to the tension and turmoil that the characters experience in the week leading up to Cricket's mom's wedding. 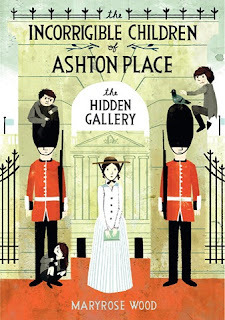 Caletti's talent for creating interesting, complex characters and relationships that remind readers of their own families shines through in this novel. Cricket has relied on her mom and her older brother (and beloved dog Jupiter) a lot over the years, and they've been through a lot of hard times together, so it's natural for her to just want them all to be happy. However, lots of internal confusion arises with the issue of the wedding and discussions of the future. Cricket is not so sure that she wants to move away from home yet, and while she knows that Dan is good for her mom, but she isn't sure if she believes that relationships, even with the perfect partner, can work. Her evidence is in her relationship complications and subsequent break-up with Jannsen, her long-time boyfriend and the only person outside of her mom and brother that she considers family. These muddled emotions and disappointments mesh with the sometimes tragic and often comical family relationships and antics to create a beautiful, emotion-driven story. This is yet another excellent, family-oriented novel that will remind readers that while life is always changing, there are some things that will always stay the same, no matter what. 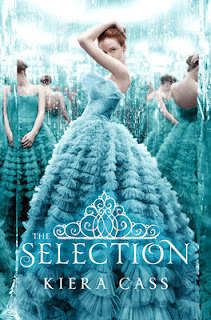 Cover Comments: I love this pretty cover! The waves and the gauzy fabric just look so cool together, and the lighting is beautiful! This one will be available April 24th, 2012! 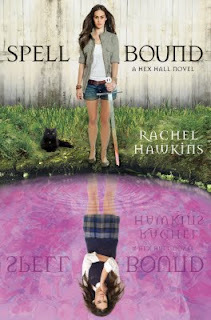 I love, love, love Rachel Hawkins' funny and suspenseful Hex Hall series. I honestly didn't know what I'd think when I started reading it, but I fell head over heels for all of the books, and I am eager for the release of book three, Spell Bound, this month! 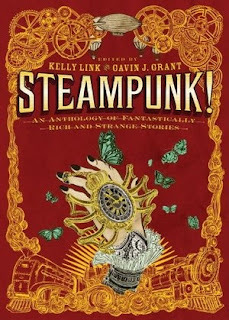 And, I know all of you are equally excited (if search terms are any idication, that is), which is why I am offering a brand new hardcover copy as the prize for this month's Monthly Commenter Contest! How to win: Every time you post a significant comment that contributes to the conversation, I give you an entry into the contest! The more you comment, the more you entries you get! Only comments on posts from March 2012 are eligible, so keep coming back for more posts and more chances to comment. For all of the details, click here. Haven't read Hex Hall or Demonglass yet? Click on the links to read my reviews, then go grab yourself copies! They're out in paperback, so they won't break the bank! Who's your favorite character in the series? Sadie has known that she and her best friend Garrett are meant to be together for two years now—she's just waiting for Garrett to realize it. But when he gets into a prestigious writing summer camp and all she has to look forward to is a job at a local coffee shop, Sadie decides that enough is enough. She is going to get over Garrett once and for all. With some help from friends new and old, Sadie puts herself through a twelve-step recovery process. But can you fall out of love with someone and still remain friends with him? 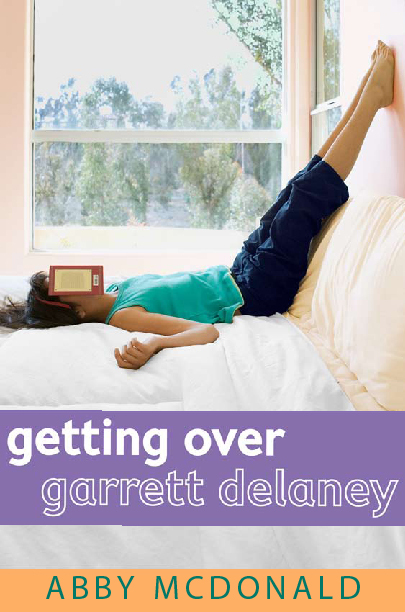 Getting Over Garrett Delaney is a delightfully funny read, and Sadie is a charming, plucky narrator. The heart of the story takes place in the coffee shop, Totally Wired, that many characters work and meet at, which is a fun and energetic setting with lots of eccentric characters. It's the stage for a lot of drama, the beginning and end of many relationships, and the site of a support group that Sadie leans on. Her twelve-step program is witty and simple, but it is pretty solid advice on McDonald's part. Sadie's personal growth is really the best part of this book—she slowly begins to embrace her own identity by shedding her carefully Garrett-tailored image, and deciding that it's okay to like popular books and movies because she likes them, not because they're things she feels she ought to like for their literary or culture value. She discovers that while it's important to be open-minded and try new things, you shouldn't change your tastes and preferences for the sake of a boy, a good lesson that bears repeating. There's just enough romance in this one to satisfy readers, but the dominant themes of friendship and independence prevail. 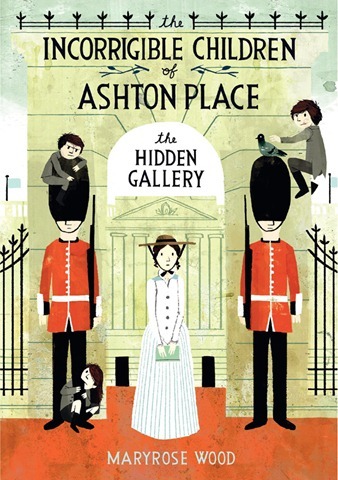 McDonald has written a fun and humorous book that will be well-received by YA readers. Cover Comments: The cover is what first attracted me to this book--I love the bright colors and the model's position on the cover--so cute!